Ideal for scratch-free cleaning and polishing of stainless steel, copper, brass and chrome. 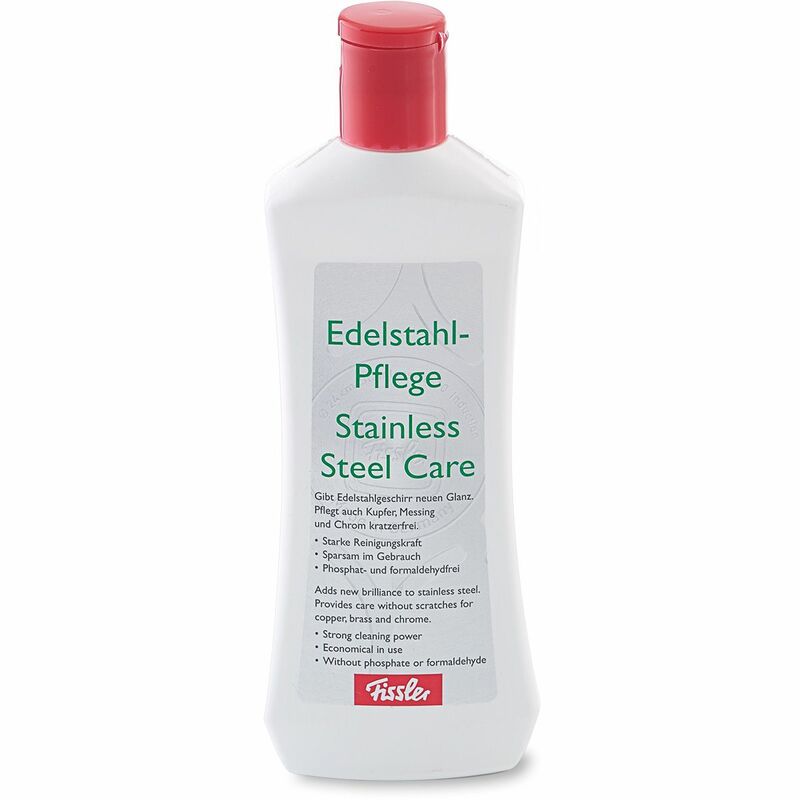 Stainless Steel Polish also cleans sinks, stovetops and pots both gently and without scratching. When you cook and roast food in your pots and pans, they require regular care. Even though the high-quality Fissler 18/10 stainless steel is extremely robust and easy to clean the right care will make it even more durable. Brilliant results guaranteed.